QBC: Where can I find my QuickBooks Capital loan documents? 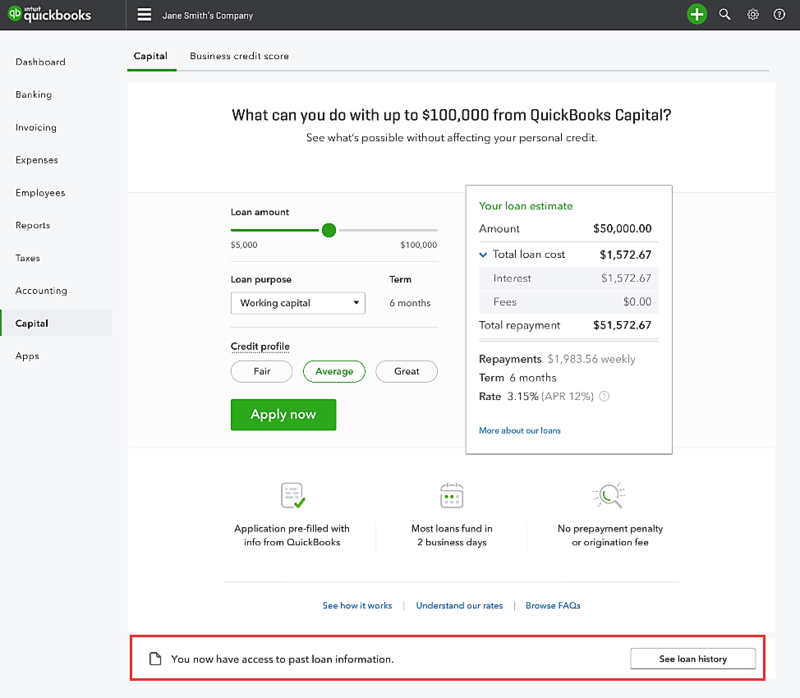 Learn how to find your QuickBooks Capital loan documents (Loan agreement and Paid in full letter) in QuickBooks Online. 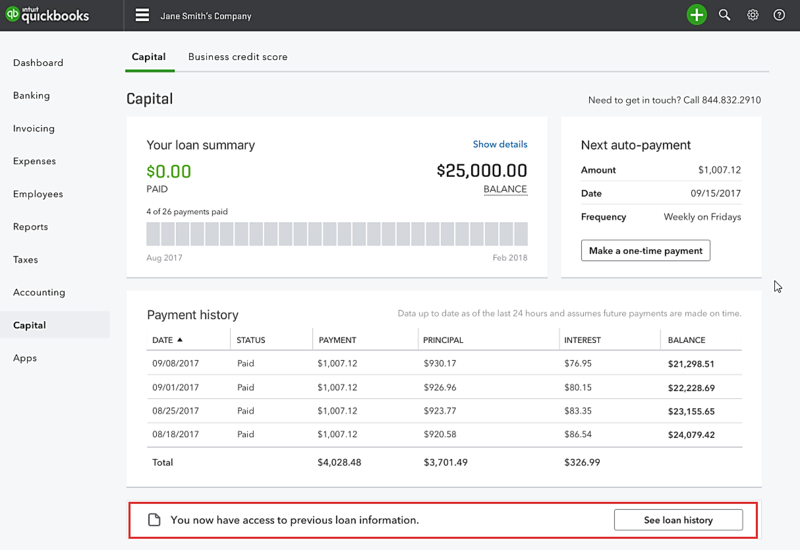 Using Google Chrome, Edge, Firefox or Opera browser, log in to QuickBooks Online using the guarantor’s username and password. From the left menu, select Capital. If you are currently in repayment of another loan, the link to your past loan documents is located below the Payment History table. 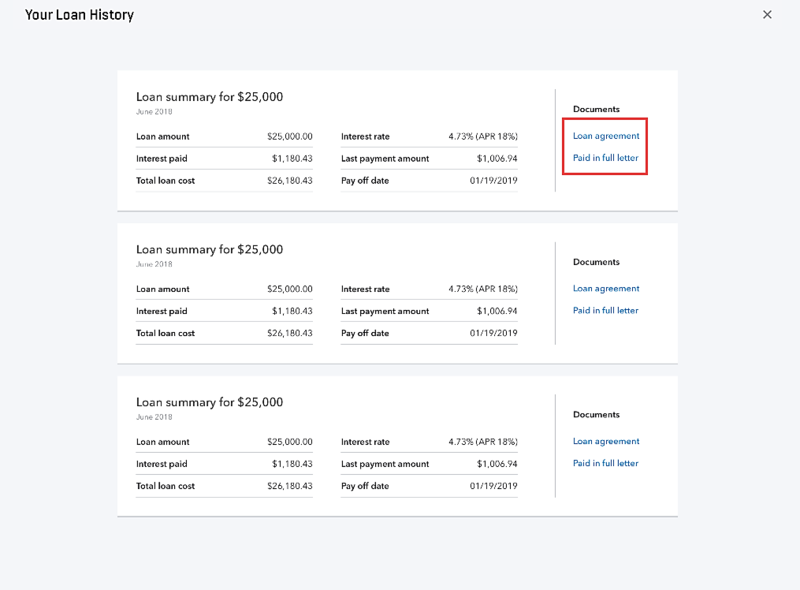 If you have paid off a loan, the link to your past loan documents is located at the bottom of the screen displaying a loan estimate. The loan history page opens and displays a list of all prior loans you have attained. Note: You need to have your pop-up blocker and ad- blocker disabled in order for the new page to display.